In Warner Brothers new film “Orphan,” a young couple adopts a quiet child only to realize things are not what they seem. Hardly original, the film joins a long line of the “kid from hell” films. Here’s a look back at some of the classics. Damien. Even today, anytime someone says that name we all know who he or she is talking about. Satan. The Devil. Lucifer himself. The truth is Damien was the name of the boy in “The Omen,” an infamous horror movie that pegged the boy as a child of evil, destined to grow up and become the antichrist. 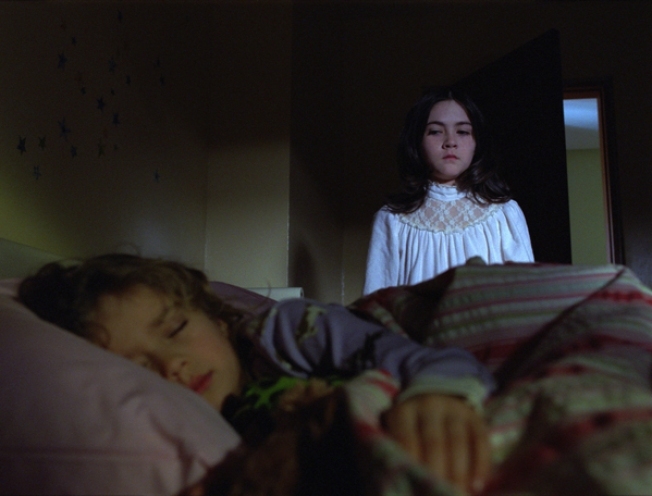 “The Omen” makes Americans everywhere fear nannies, dogs and any kid named Damien. Macaulay Culkin ditched his “Home Alone” roots to star in this 1993 chiller about an evil child, hell bent on reeking havoc and destroying anything in his path. He kills a dog, causes a multi-car pileup on the highway, and drowns a baby. A very young, pre-hobbit Elijah Wood co-starred as his nemesis. The movie was kind of a bomb, but still slightly memorable for the very dark ending, which left many people’s jaws on the floor. More recently, “The Ring” started a huge wave of Japanese horror remakes in the U.S. in 2002, though this film unquestionably remains the best. In the movie, Samara was the ghost of a child killed by her mother and shoved in a well to rot. Well, this obviously didn’t sit well with her, so homegirl decided to come back and terrorize people through a videotape that kills the viewer within seven days of watching. Samara could use an extensive shampoo and conditioning treatment, but she still makes it work. The climactic moment when Samara literally walks through a TV screen into the living room is some pretty intense stuff. This brings us to “Orphan,” the newest entry in the “kid from hell” genre scheduled for release on July 24. The story is about Esther, a young drifter originally from Russia, who is brought in by loving parents John (Peter Sarsgaard) and Kate (Vera Farmiga). Little do they know Esther has some seriously dark motives. So how does Esther fare against the rest of the demon spawn in other movies? She’d probably kick every one of their asses and take names later. Esther is no joke. Literally, in every other scene, she’s trying to kill something. Animals, kids, nuns -- no stone is left unturned. “Orphan” delivers the goods and that makes it great, scary fun. This one easily earns its place in the ranks.